Pilot plant and scale-up techniques are both integral and critical to drug discovery and development process for new medicinal products. A major decision focuses on that point where the idea or process is advanced from a research oriented program targeted towards commercialization. The speed of drug discovery has been accelerating at an exponential rate. The past two decades particular have witnessed amazing inventions and innovations in pharmaceutical research, resulting in the ability to produce new drugs faster than even before. The new drug applications (NDAs) and abbreviated new drug applications (ANDA) are all-time high. The preparation of several clinical batches in the pilot plant provides its personnel with the opportunity to perfect and validate the process. Also different types of laboratories have been motivated to adopt new processes and technologies in an effort to stay at the forefront scientific innovation. 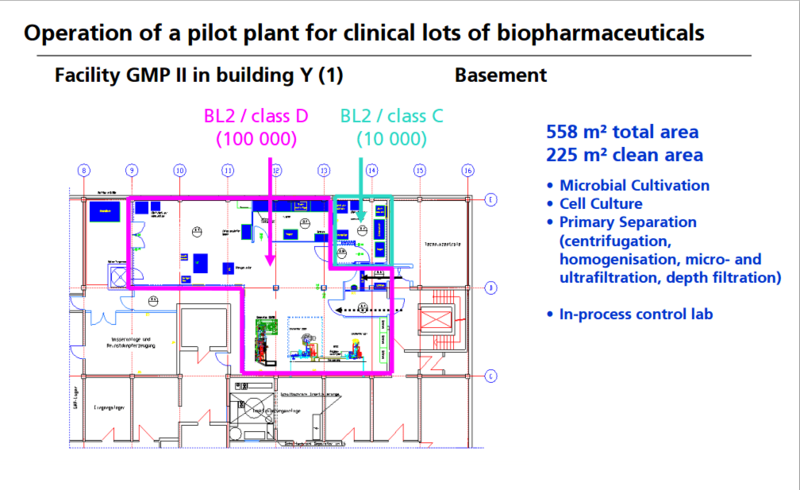 Pharmaceutical pilot plants that can quickly numerous short-run production lines of multiple batches are essential for ensuring success in the clinical testing and bougainvilleas study phases. Drug formulation research time targets are met by having a well-designed facility with the appropriate equipment mix, to quickly move from the laboratory to the pilot plant scale 1. 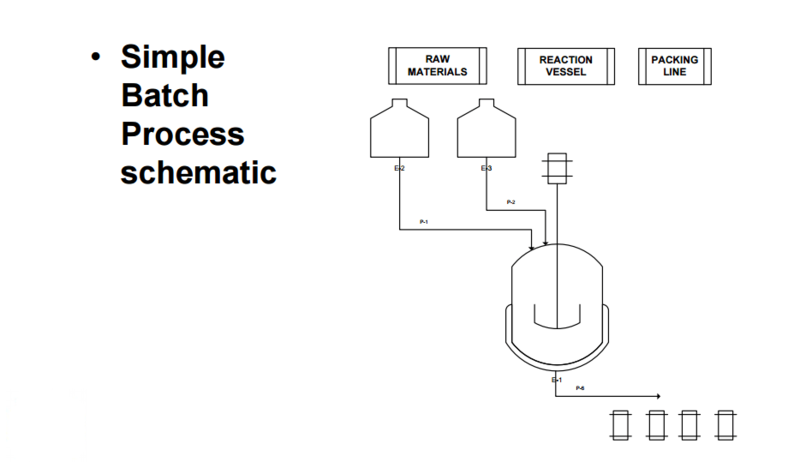 In pilot plant, a formula is transformed into a viable, robust product by the development of a reliable and practical method of manufacture that effects the orderly transition from laboratory to routine processing in a full scale production facility where as the scale up involves the designing of prototype using the data obtained from the pilot plant model. Pilot plant studies must includes a close examination of formula to determine its ability to withstand batch-scale and process modifications; it must includes a review of range of relevant processing equipment also availability of raw materials meeting the specification of product and during the scale up efforts in the pilot plant production and process control are evaluated, validated and finalized. 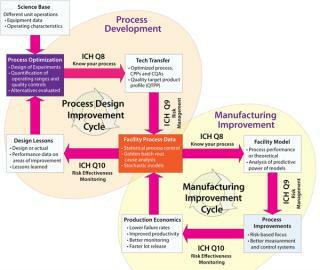 A manufacturer’s decision to scale up / scale down a process is ultimately rooted in the economics of the production process, i.e., in the cost of material, personnel, and equipment associated with the process and its control. When developing technologies, there are a number of steps required between the initial concept and completion of the final production plant. These steps include the development of the commercial process, optimization of the process, scale-up from the bench to a pilot plant, and from the pilot plant to the full scale process. While the ultimate goal is to go directly from process optimization to full scale plant, the pilot plant is generally a necessary step. Reasons for this critical step include: understanding the potential waste streams, examination of macro-processes, process interactions, process variations, process controls, development of standard operating procedures, etc. The information developed at the pilot plant scale allows for a better understanding of the overall process including side processes. Therefore, this step helps to build the information base so that the technology can be permitted and safely implemented. Should be versatile pilot plant that is entirely GMP and facilitates the development of API’s in scalable, safe and environmentally friendly ways. The combination of facilities, experience and flexibility enable an integral Contract Manufacturing service ranging from laboratory to industrial scale; it should manufacture under regulation small amounts of high added value active substances or key intermediate products. Product quality: Operations that depend on people for executing manual recipes are subject to human variability. How precisely are the operators following the recipe? Processes that are sensitive to variations in processing will result in quality variation. Full recipe automation that controls most of the critical processing operations provides very accurate, repeatable material processing. This leads to very highly consistent product quality.  Improved production: Many biotech processes have extremely long cycle times (some up to 6 months), and are very sensitive to processing conditions. It is not uncommon for batches to be lost for unexplained reasons after completing a large portion of the batch cycle time. The longer the batch cycle time and the more sensitive production is to processing conditions, the more batch automation is justified. Imagine losing a batch of very valuable product because the recipe was not precisely followed!  Process optimization: Increasing the product yield can be done by making small changes in processing conditions to improve the chemical conversions or biological growth conditions. Manual control offers a limited ability to finely implement small changes to processing conditions due to the inherent lack of precision in human control. Conversely, computers are very good at controlling conditions precisely. In addition, advanced control capabilities such as model predictive control can greatly improve process optimization. This results in higher product yield and lower production cost. This consideration is highly relevant to pilot plant facilities where part of the goal is to learn how to make the product.  Recordkeeping: A multi-unit recipe control system is capable of collecting detailed records as to how a batch was made and relates all data to a single batch ID. 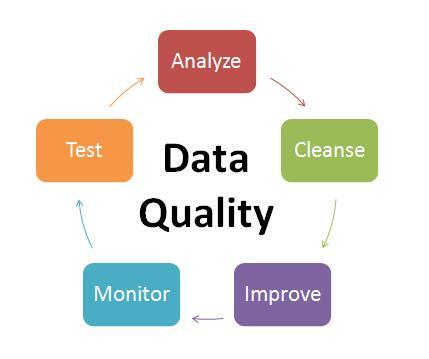 Data of this nature can be very valuable for QA reporting, QA deviation investigations, and process analysis.  Safety: Operators spend less time exposed to chemicals when the process is fully automated as compared to manual control. Less exposure to the process generally results in a safer process. Buildings and facilities. GMPs under the 21 Code of Federal Regulations (CFR) Part 211.42 state that buildings or areas used in the receiving, storage, and handling of raw materials should be of suitable size, construction and location to allow for the proper cleaning, maintenance, and operation (7). The common theme for this section of CFR Parts 210 and 211 is the prevention of errors and contamination. In principle, the requirements for buildings and facilities used in early phase manufacturing are not significantly different than those for later phases or even commercial production. However, there are some areas that are unique to early clinical trial manufacturing. Control of materials. The CFR regulations under Part 211.80 provide good direction with respect to lot identification, inventory, receipt, storage, and destruction of materials (7). The clear intent is to ensure patient safety by establishing controls that prevent errors or cross-contamination and ensure traceability of components from receipt through clinical use. In general, the requirements for the control of materials are identical across all phases of development, so it is important to consider these requirements when designing a GMP facility within a laboratory setting. For example, all materials must be assigned a unique lot number and have proper labeling. An inventory system must provide for tracking each lot of each component with a record for each use. Upon receipt, each lot should be visually examined for appropriate labeling and for evidence of tampering or contamination. Materials should be placed into quarantine or in the approved area or reject area with proper labeling to identify the material and prevent mix-ups with other materials in the storage area. Provision should be made for materials with special storage requirements (e.g., refrigeration, high security). The storage labeling should match the actual conditions that the material is being stored and should include expiry/retest dates for approved materials. Although such labeling is inconvenient for new materials where the expiration or retest date may change as more information is known, this enables personnel to be able to determine quickly whether a particular lot of a material is nearing or exceeding the expiration or retest date. General expiry/retest dates for common materials should be based on manufacturer’s recommendation or the literature. Finally, there are clear regulatory and environmental requirements for the destruction of expired or rejected materials. It is important to observe regional and international requirements regarding the use of animal sourced materials (12). It is recommended to use materials that are not animal sourced and that there be available certification by the raw material manufacturers that they contain no animal sourced materials. If animal sourced raw materials must be used, then certifications by the raw material manufacturers that they either originate from certified and approved (by regulatory bodies) sources for use in human pharmaceuticals, or that the material has been tested to the level required for acceptance by regulatory agencies (following US, EU, or Japanese guidelines, as applicable) is required. Designed and equipped for the manufacturing of solid oral dosage forms, specialized in high-activity substances (cytostatic, cytotoxic, hormonal, hormone inhibitors). It has ancillary areas for the proper management of materials intended for clinical trials of new drugs. • Oystar Hüttlin Pilotmix 75T single-pot high shear mixer. • Container mixer, 60 and 200 liters containers. • Fette 1200iC rotary tablet press, fully equipped for formulation development and manufacturing. • Oystar Manesty XL Lab 01 tablet coater, with interchangeable drums. • IMA Clinipack blister machine. • Process control laboratory: Dr. Schleuniger tablet hardness tester, Erweka tablet disintegration tester, Erweka friability tester, Mettler Toledo moisture content determination equipment. The system for managing quality should encompass the organisational structure, procedures, processes and resources, as well as activities necessary to ensure confidence that the API will meet its intended specifications for quality and purity. All quality related activities should be defined and documented. Any GMP decision during Development must be based on the principles above. 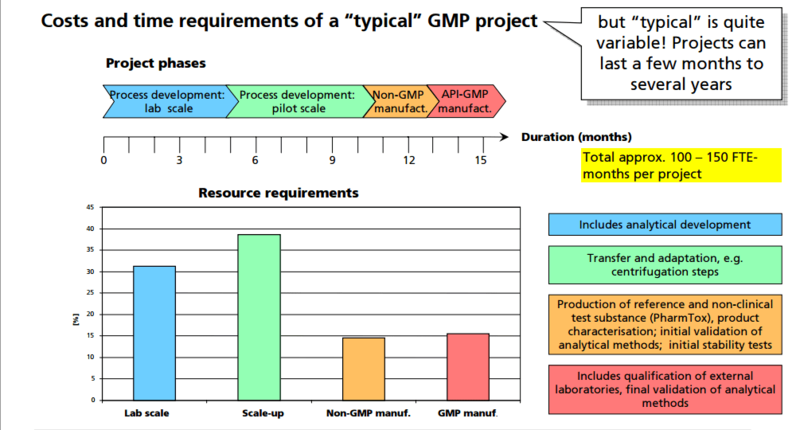 During the development of an API the required level of GMP control increases. Using these guidelines, the appropriate standard may be implemented according to the intended use of the API. Firms should apply proper judgement, to discern which aspects need to be addressed during different development stages (non-clinical, clinical, scale-up from laboratory to pilot plant to manufacturing site). The Good Manufacturing Practices questions and answers (GMP Q&A) presented below have been updated following the issuance of the “Good Manufacturing Practices Guidelines, 2009 Edition Version 2 (GUI-0001)“. This Q&A list will be updated on a regular basis. 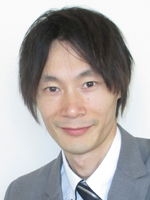 Examples of flow processes being used to produce exceptionally large amounts of material are becoming increasingly common as industrial researchers become more knowledgeable about the benefits of continuous reactions. 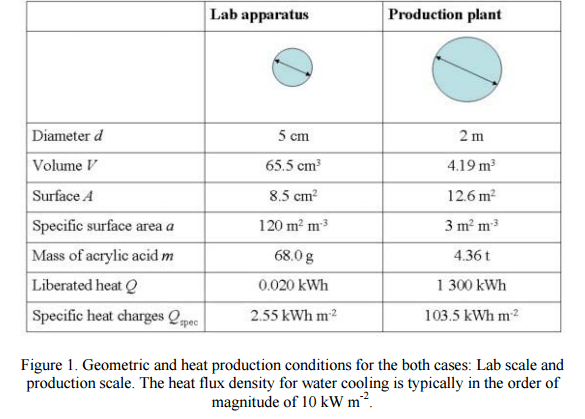 The above examples from academic groups serve to illustrate that reactions optimized in small reactors processing tens to hundreds of mg hour−1 of material can be scaled up to several grams per hour. Projects in process chemistry are often time-sensitive, however, and production of multiple kg of material may be needed in a short amount of time. An example of how the efficient scaling of a flow reaction can save time and reduce waste is provided by a group of researchers at Eli Lilly in their kg synthesis of a key drug intermediate under GMP conditions . In batch, ketoamide 13 was condensed with NH4OAc and cyclized to form imidazole 14 at 100 °C in butanol on a 1 gram scale. However, side product formation became a significant problem on multiple runs at a 250 g scale. It was proposed that this was due to slow heat up times of the reactor with increasing scale, as lower temperatures seemed to favour increased degradation over productivecyclization. 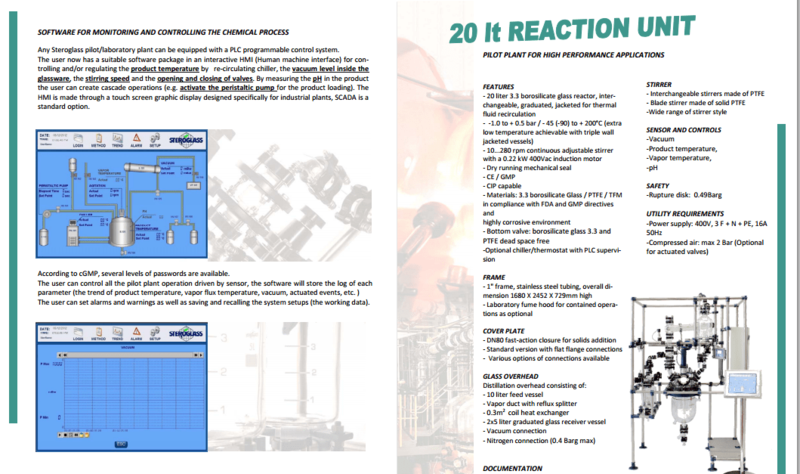 Upon switching to a 4.51 mL flow reactor, another optimization was carried out which identified methanol as a superior solvent that had been neglected in batch screening due to its low boiling point at atmospheric pressure. Scale-up to a 7.14 L reactor proceeded smoothly without the need for reoptimization, and running on this scale with a residence time of 90 minutes for a six-day continuous run provided 29.2 kg of product after recrystallization (approximately 207 g hour−1). 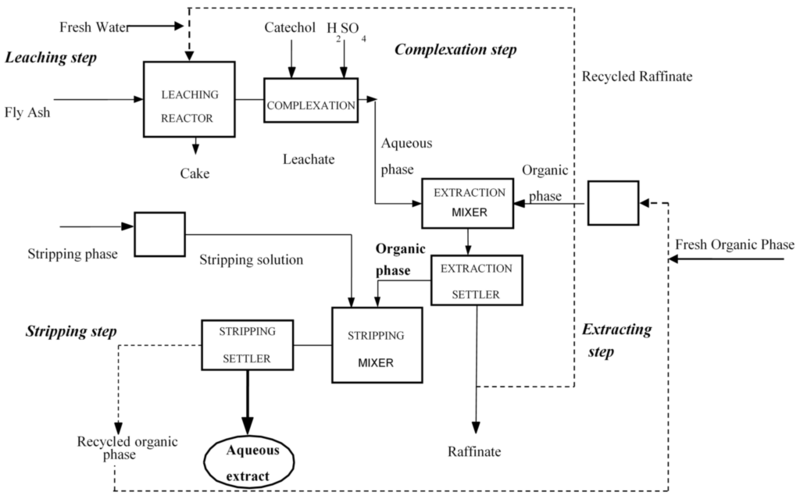 The adoption of a flow protocol by a group of industrial researchers in a scale-up with time constraints demonstrates both the effectiveness and maturity of flow chemistry. While the given reaction was used to produce kilograms of material for a deadline, continuous operation without further optimization could produce over 1 metric tonne of product per year in a reactor that fits into a GC oven. Scheme 20 Kilogram-scale synthesis of an imidazole API precursor. Plant: A plant is a place where an industrial or manufacturing process takes place. It may also be expressed as a place where the 5 M’s that are; man, materials, money, method and materials are brought together for the manufacture of products. Pilot Plant: A part of a manufacturing industry where a laboratory scale formula is transformed into a viable product by development of reliable practical procedures of manufacturing. Scale-Up: This is the art of designing a prototype based on the information or data obtained from a pilot plant model. cGMP: current Good Manufacturing Processes refer to an established system of ensuring that products are consistently produced and controlled according to quality standards. It is designed to minimize risk involved in any industrial design. GMP covers all aspects of production from the starting materials, premises and equipment to the training and personal hygiene of staff within industries. Detailed, written procedures are essential for each process that could affect the quality of the finished product. There must be a system to provide documented proof that correct procedures are consistently followed at each step in the manufacturing process every time a product is made. To evaluate performance specifications before the actual installation of industrial plant. 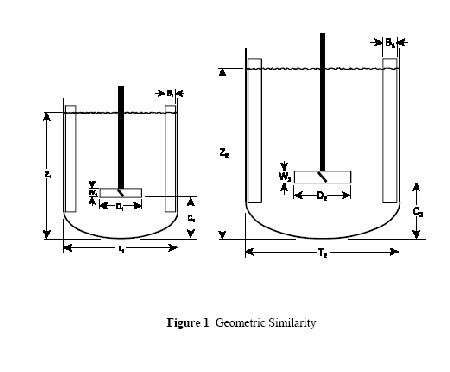 Evaluation of reliability of mathematical models within real environment. Economic considerations for production involving process optimization and automated control systems. Ø Specifically designed areas for the manufacturing operations performed by the firm to prevent contamination or mix-ups. Ø Sanitation of the building, use of rodenticides, fungicides, insecticides, cleaning and sanitizing agents. 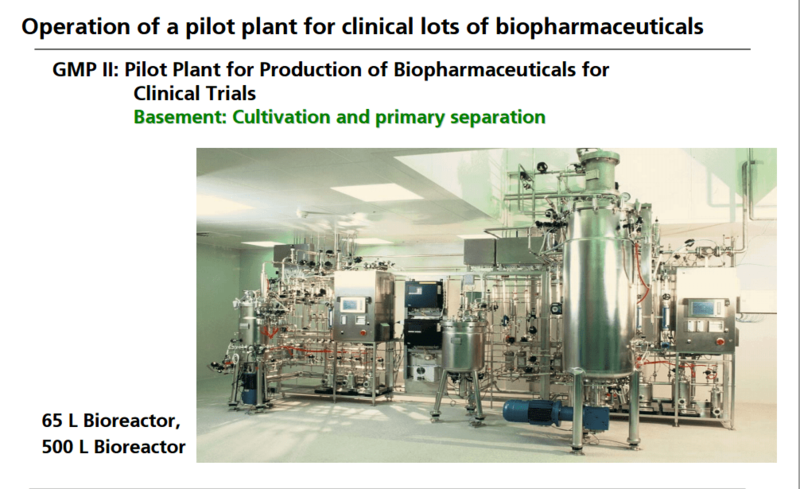 The application of GMP to plant design is primary to the establishment of such plants. Regulatory boards have precedence over these operations helping to establish a proper and functional system in plant design. From plant design drawings which are inspected and approved by cGMP regulatory bodies (such as Department of Petroleum Resources in Nigeria), approvals are issued depending on adherence to specifications such as muster points, proper spacing of fuel sources from combustion units and other more elaborate considerations. A choice of location for plant and layout play an important role on environmental impact. Hence, environmental impact assessment is a major part of GMP. Industries must be located at least 100M from closest residential quarter (depending of materials processed in plant). Some areas in a plant may require extra safety precautions in operations. The cGMP makes provision for such special considerations with the creation of customized set of operational guidelines that ensure safety and wellness of staff and environment alike. Outlined below are the cGMP considerations in the establishment and handling of a food processing plant. 1. Process water is safe, if private supply should be tested at least annually. 2. Backflow prevention by an air gap or back flow prevention device. Sinks that are used to prepare food must have an air-gap. 1. Designed, maintained, and installed so that it is easy to clean and to withstand the use, environment, and cleaning compounds. 2. If cleaning is necessary to protect against microorganisms, food-contact surfaces shall be cleaned in this sequence: wash with detergent, rinse with clear water, and then use an approved sanitizer. The sanitizer used shall be approved for use on food-contact surfaces. UA three-compartment ware washing sink or other equivalent methods shall be used for this purpose. 3. Gloves shall be clean/sanitary. Outer garments suitable. 1. Food handlers use good hygienic practices; hands shall be washed before starting work, after absence from work station, or when they become contamination (such as with eating or smoking). 2. Signs shall be posted in processing rooms and other appropriate areas directing employees that handle unprotected food, food-contact surfaces, food packaging materials to wash their hands prior to starting to work, after each absence from the work station, and whenever hands may become contaminated. 3. Plant design so that the potential for contamination of food, food-contact surfaces, or packaging materials is reduced to the extent possible. 4. Physical separation of raw and finished products. 1. Hand washing sinks, properly equipped, shall be conveniently located to exposed food processing areas. Ware washing sinks shall not be used for this purpose. 2. Adequate supply of hot and cold water under pressure. 3. Toilet facilities; adequate and accessible, self-closing doors. 4. Sewage disposal system shall be installed and maintained according to State law. 1. Food processing equipment designed to preclude contamination with lubricants, fuel, metal fragments, contaminated water, or other sources of contamination. 2. Food processed so that production methods to not contaminate the product. 3. Raw materials, works-in-process, filling, assembly, packaging, and storage and transportation conducted so that food is not contaminated. 4. Protection from drip and condensate overhead. 5. Ventilation adequate and air not blown on food or food-contact surfaces. 7. Compressed air or gas mechanically introduced adequately filtered. 1. Products used approved and used according to product’s label. 2. Sanitizer used on food-contact surfaces must be approved for that use. 3. Shall be securely stored, so unauthorized use is prevented. 1. Food handler, who has illness or open lesion, or other source of microbiological contamination that presents a reasonable possibility of contamination of food, food-contact surfaces, or packaging materials shall be excluded from such operations. 2. Adequate training in food protection, dangers of poor personal hygiene, and unsanitary practices shall be provided. 3. Management shall provide adequate supervision and competent training to ensure compliance with these provisions. 1. Management shall provide an adequate pest control program so that pests are excluded from the plant. 2. Program shall ensure that only approved pesticides are used and applied per the product’s label. 1. Walls, floors, and ceilings constructed so that they can be adequately cleaned and kept in good repair. 3. Adequate ventilation or controls to minimize odours and vapours. 4. Adequate screening or protection of outer openings. 5. Grounds maintained free of litre, weeds, and pooling water. 6. Roads, yards, and parking lots maintained so that food is not contaminated. 1. Equipment, utensils, and seams on equipment – adequately cleanable, properly maintained, designed, and made of safe materials. 2. Refrigerators and freezers equipped with adequate thermometer. 3. Instruments and control devices – accurate and maintained. 4. Compressed air or gas designed/treated so that food is not contaminated. Equipment. Most equipment used to manufacture early GMP drug product is be managed under a qualification, preventive maintenance, and calibration program for the GMP facility. However, in early development, there may occasionally be a need to use equipment that is not part of such a program. Rather than performing a comprehensive qualification for a piece of equipment not expected to be frequently used, an organization may choose to qualify it for a single step or campaign. Documentation from an installation qualification/operational qualification (IQ/OQ) and or performance verification at the proposed operating condition is sufficient. For example, if solution preparation needs a mixer with a rotation speed of 75 rpm, then documentation in the batch record using a calibrated tachometer to verify that the mixer was operating at 75 rpm will suffice. The use of dedicated or disposable equipment or product contact parts may be preferable to following standard cleaning procedures to ensure equipment is clean and acceptable for use. However, not all equipment or equipment parts are disposable or may have a substantial cost that makes disposal prohibitive. In that case, the product contact parts could be dedicated to a specific drug substance for use in drug product manufacture. Dedicating product contact parts to a compound may be costly and may be avoided in some cases by carefully considering product changeover and effective cleaning methods when purchasing equipment. Another item to consider with respect to equipment, is that the more complicated the equipment is to run or maintain, the less desirable it might be for early GMP batches. In most cases, simple equipment is adequate and will uses less material and consume less total time for preparation, operation, and cleaning activities. 1. Scales used to measure net weight of contents shall be designed so they can be calibrated. 2. Products in interstate commerce – net weights/measurements also in metric. Plant establishment is an activity that has kept rising from the inception of the industrial revolution until date. Giving rise to increase in raw material demand, increased pollution levels, higher energy demand, and overall greater economic output. As history and record keeping has served for an even longer period, it becomes necessary for adaptation to be made to avoid incidents and accidents that have occurred previously and also those that can be anticipated without actual devastating effect. The development of the GMP is as a result of observed challenges in industry and environment over years of industrialization. It becomes necessary to upset these poor trends that have developed as a result of industrialization by so doing increasing the pros and reducing the cons. GMP protects consumer, produce, equipment, and conserves the processes as a whole, leading to a more efficient sustainable process defining a new standard for yields and profit and eliminating the tendency of compromise made by industrialists to increase overall profits at the risk of staff and environment. These minimum requirements are consistent with the FDA Guidance for Industry: cGMP for Early Phase Investigational Drugs, which requires a record of manufacturing that details the materials, equipment, procedures used and any problems encountered during manufacturing (2). The records should allow for the replication of the process. On this basis, there is flexibility in the manner for which documentation of batch activities can occur, provided that the documentation allows for the post execution review by the quality unit and for the retention of these records. Batch documentation approvals. Review and approval of executed batch records by the Quality unit is required per 21 CFR Part 211.192 (7). This review and approval is required for all stages of clinical manufacturing. Pre-approvals of batch records should be governed by internal procedures as there is no requirement in CFR 21 that the Quality unit pre-approves the batch record (though this is highly recommended in order to minimize the chance of errors). Indeed, Table I shows that pre-approval of batch records by the Quality Unit is practiced by all 10 companies that participated in the IQ Consortium’s drug-product manufacturing survey related to early development. Batch records must be retained for at least 1 year after the expiration of the batch according to CFR Part 211.180, but many companies keep their GMP records archived for longer terms. Room clearance. 21 CFR Part 211.130 requires inspection of packaging and labeling facilities immediately before use to ensure that all drug products from previous operations have been removed. This inspection should be documented and can be performed by any qualified individual. Although line clearance for bulk manufacture is not specifically mentioned in the CFR, it is expected that a room clearance be performed. At a minimum, this clearance should be performed prior to the initiation of a new batch (i.e., prior to batch materials entering a processing room). Change control. Changes to raw materials, processes, and products during early development are inevitable. It is not required that these changes be controlled by a central system but rather may be appropriately documented in technical reports and manufacturing batch records. Any changes in manufacturing process from a previous batch should be captured as part of the batch record documentation and communicated to affected areas. The rationale for these changes should also be documented as this serves as a source for development history reports and for updating regulatory filings. The authors recommend that those changes that could affect a regulatory filing be captured in a formal system. Process changes. Process parameters should be recorded but do not need to be predetermined because processes may not be fixed or established in early development. Given the limited API availability in early development, a clinical batch is often the first time a product is manufactured at a particular scale or using a particular process train. Therefore, process changes should be expected. 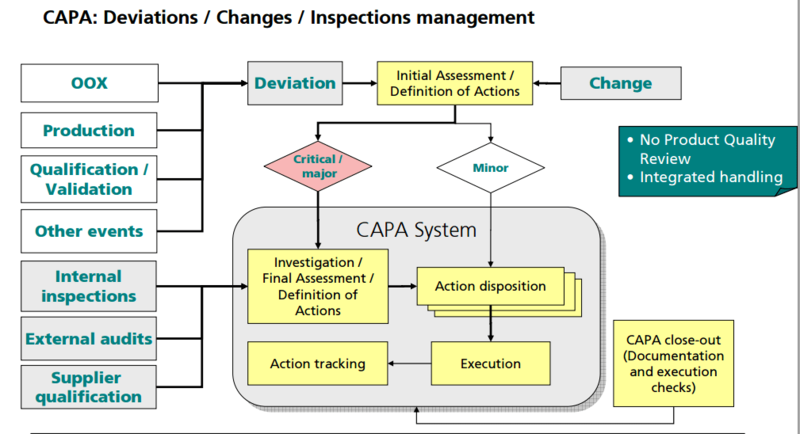 Process trains and operating parameters must be documented in the batch record but changes should not trigger an exception report or CAPA. Changes should be documented as an operational note or modification to the batch record in real time. Such changes driven by technical observations should not require prior approval by the Quality unit, but should have the appropriate scientific justification (via formulator/scientist) or the appropriate flexibility built into the batch record to allow for the changes. This documentation should be available for Quality review prior to product disposition. Calculation of yield. Actual yields should be calculated for major processing steps to further process understanding and enable optimization of processes. Expected yield tolerances are not always applicable to early development manufacture. At this stage of early development, when formulation and process knowledge is extremely limited, there may be no technical basis for setting yield tolerances and, therefore, this yield may not be an indicator of the quality of the final product. In-process controls and R&D sampling. In-process tests and controls should follow basic requirements of GMPS to document consistency of the batch. For capsule products, these requirements may include capsule weights and physical inspection. For tablet products, compression force or tablet hardness and weights should be monitored together with appearance. R&D sampling, defined as samples taken for purposes of furthering process understanding but not utilized for batch disposition decisions, is a normal part of all phases of clinical manufacturing. 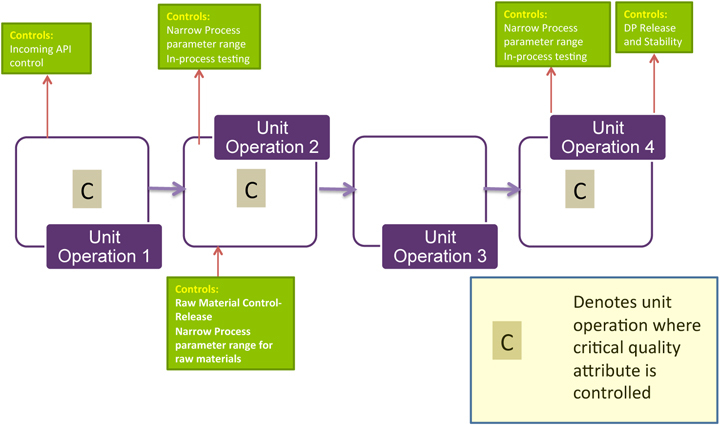 In early development manufacturing, a sampling plan is required for in-process control tests, but not for R&D samples. However, for the purpose of material accountability, R&D sampling should be documented as part of batch execution. For these samples, testing results may be managed separately, and are not required to be included in regulatory documentation. Regardless of the scale of manufacturing, the facility used for manufacturing clinical trial supplies must meet the basic GMP requirements as described in the regulations and guidance documents. Below are three scenarios for early development and the advantages of each as pertaining to early development. The first involves a pilot plant facility designed and equipped for routine GMP operations. The second scenario aims to establish a GMP area within a laboratory environment. The third example focuses on conducting GMP manufacturing or leveraging the practice of pharmacy in close proximity to the clinical site. GMP facility for drug-product manufacture. 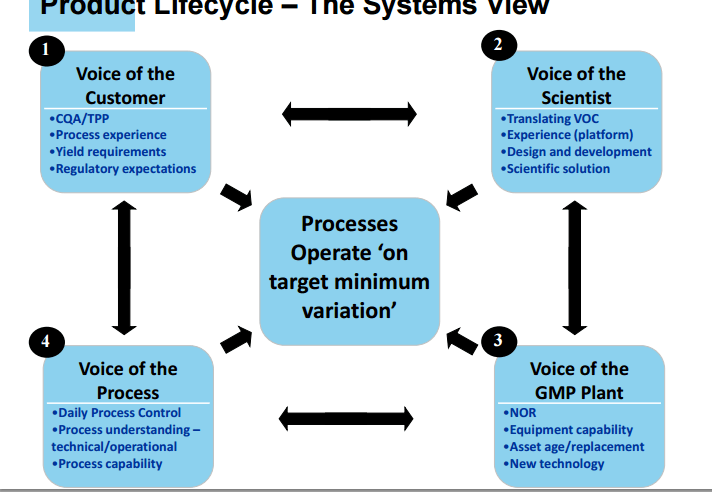 The traditional approach in GMP drug-product manufacture is to use a dedicated facility (often called a pilot plant) for early phase clinical trials. 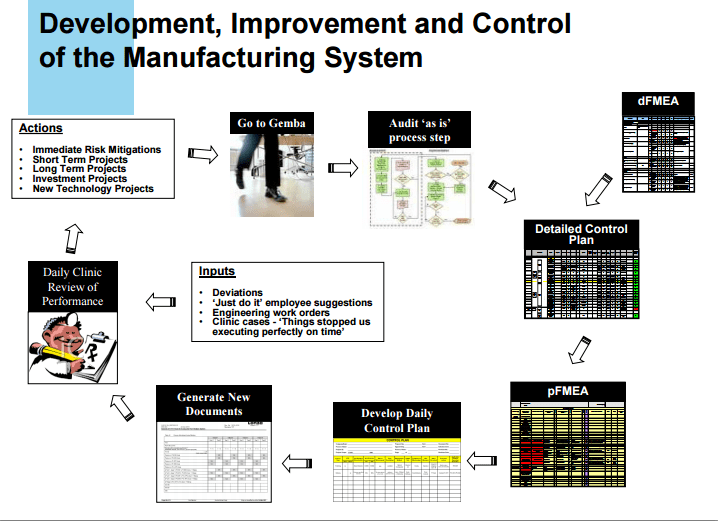 Advantages of this approach include that the quality systems for the facility (i.e., maintenance, calibration, cleaning, change management, CAPA, and documentation) are well defined, and that training and other activities required for maintaining GMP compliance are centralized. Other drivers to use a pilot plant in early development may be the need for specialized equipment, or larger batch sizes in special situations. GMP area within a laboratory setting. 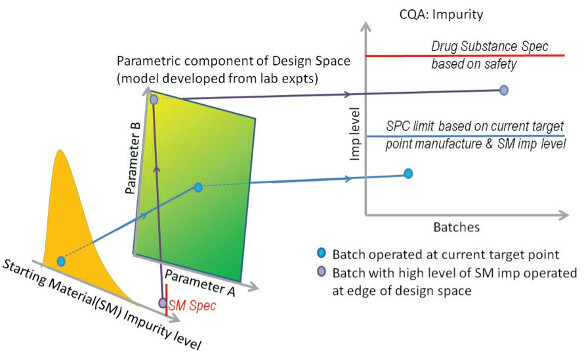 In some cases, it may be advantageous to establish a GMP area within a “laboratory setting” (i.e., a drug-development facility not dedicated to the production of clinical supplies) for the manufacture of drug product in early development. The rationale for this approach might be to avoid the significant investment in setting up a dedicated facility and to create simpler, more flexible systems that meet GMP requirements but are tailored for the specific activity envisioned. Examples where this approach might be considered include the need for special containment not available in the pilot-plant; the need to work with radioactive or hazardous materials, use of controlled substances and the production of “one-off manufactured” product used for proof of concept. The business rationale should be documented and approved by the manufacturing and Quality groups. As long as the appropriate GMP controls are maintained, especially as related to operator safety, cleaning, and prevention of cross-contamination, there is no compliance barrier to using “lab-type” facilities for the manufacturing of early phase clinical batches. Before GMP manufacturing is initiated, however, a risk assessment should be conducted and documented. Inclusion of representatives from Quality, analytical, clinical manufacturing, product development, and environmental health and safety would be prudent. When selecting/designing an early development clinical manufacturing facility, consideration should be made for the receipt, storage, dispensing, and movement of materials. The manufacturing processes in the nondedicated area must protect the product, patient, and the manufacturing operators. Additionally, companies should consider what items are appropriate for the manufacture. For example, the use of a certified laminar flow hood may be a better choice for manufacturing than a fume hood, because the former is designed to prevent contamination of the product, protect the operator, and the laboratory environment. In addition, with the appropriate cleaning, a laminar flow hood can more easily be used for multiple products. Small scale/manual equipment or procedures may be the best approach because the space is likely to be limited. With a small batch size, the use of small scale or manual equipment/procedures will minimize yield loss. Additional measures to be assessed include appropriate gowning and operator personal protection devices, area and operator monitoring for potent or radiolabeled drug exposure, and so forth. Documentation of the facility preparation, product manufacture, and the return of the facility to the previous state, if needed, is recommended. This documentation should describe the rationale for the manufacture in the nondedicated area, risk assessment, preparation of the area, cleaning procedures, and list of responsible persons. This documentation can reference existing procedures or standard operating procedures (SOPs) along with documents associated with the meetings and preparation for the manufacture of the batch. Batch records and cleaning records should be part of the documentation and should follow the company’s data-retention policy. Specifications. It is a GMP requirement that all raw materials for the manufacture of drug product have appropriate specifications to ensure quality. The compendial requirements should be used for setting specifications provided the material is listed in at least one pharmaceutical compendium (e.g., US, European, and Japanese Pharmacopeias). It is important that the use of materials meeting the requirements of a single compendium is acceptable for use in early phase clinical studies conducted in the US, Europe, and Japan. For example, a material that meets USP criteria and is used in the manufacture of a drug product should be acceptable for use in early clinical studies in the European Union. In the absence of a pharmaceutical compendium monograph, the vendor specification and/or alternative compendial specifications such as USP’s Food Chemical Codex should guide specification setting. In any case, the sponsor is responsible for the establishment of appropriate specifications. Therefore, it is the authors’ position that good practice is to have at least a basic understanding of the manufacture, chemistry, and toxicology of the materials to guide appropriate specification setting. Material testing and evaluation. The minimum testing required for incoming materials is visual inspection and identification. However, as mentioned above, the appropriate tests should be determined for the material based on the knowledge of the manufacture, chemistry, and toxicology. If the vendor is qualified, then the certificate of analysis may be acceptable in conjunction with the visual inspection and identification testing (see “Vendor Qualification” section below). Approval for use. Ideally, manufacture of a bulk drug product should begin with approved material specifications and with materials that are fully tested and released. However, there are circumstances where it may not be feasible to start manufacture with approved specifications and fully tested and released materials, including API. 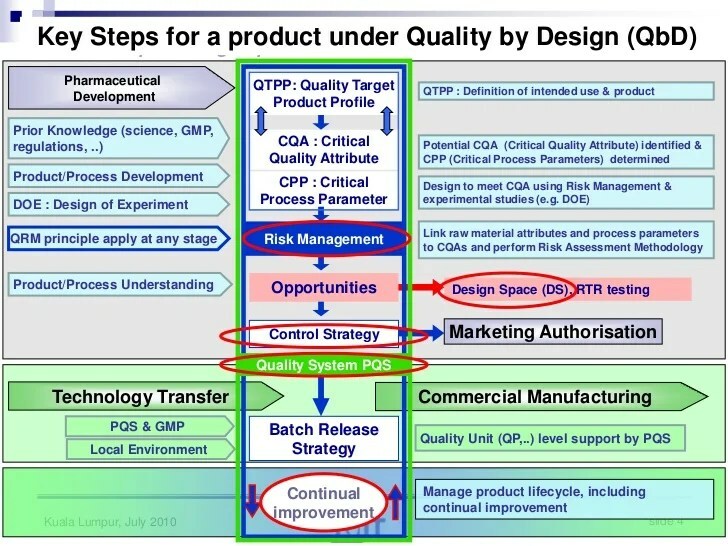 Manufacturing prior to final release (sometimes called manufacturing “at risk”) may be acceptable, however, because the quality system ensures that all specifications are approved, test results are within specifications, and all relevant documents are in place before the product is released for administration to humans. The “risk” must lie fully with the manufacturer and not with the patient. Vendor qualification. Vendors supplying excipients, raw materials, or API must be qualified by the sponsor. Appropriate qualification should depend on the stage of development and an internal risk assessment. For, example if a vendor has a history of supplying the pharmaceutical industry and the material is to be used in early development, a paper assessment (e.g., a questionnaire) should be sufficient. If a supplier does not have a history of supplying the pharmaceutical industry, a risk assessment should be performed and depending on the outcome a site audit may be required prior to accepting material for use. Ideally, vendors should be qualified prior to using raw materials for manufacture. However, it is acceptable for qualification to proceed in parallel as long as documentation/risk assessments are available prior to product release and as in the previous section all risk lies with the manufacturer and not the patient. “ICH Q7a. Good Manufacturing Practice for Active Pharmaceutical Ingredients” (Draft 6, October 19th, 1999, section 19). “ICH Q6a. Specifications: test procedures and acceptance criteria for new drug substances and new drug products: chemical substances”. “Good Manufacturing Practices for Active Pharmaceutical Ingredients” (EFPIA / CEFIC Guideline, August, 1996). “Quality Management System for Active Pharmaceutical Ingredients Manufacturers” (APIC/CEFIC May 1998). “Good Manufacturing Practices Guide for Bulk Pharmaceutical Excipients”, The International Pharmaceutical Excipients Council (October 1995). “21 Code of Federal Regulations, parts 210 to 211”, U.S. Food & Drug Administration. “Guide to inspection of Bulk Pharmaceutical Chemicals”, U.S. Food & Drug Administration, (Revised Edition: May 1994). “Guidance for Industry. ANDAs: Impurities in Drug Substances”, U.S. Food and Drug Administration, CDER (June 1998). “Guideline on the Preparation of Investigational New Drug Products”, U.S. Food & Drug Administration, CDER (March 1991). “EC Guides to GMP, Annex 13: Manufacture of Investigational Medicinal Products” (Revised Dec. 1996). “GMP Compliance during Development”, David J. DeTora. Drug Information Journal, 33, 769-776, 1999. EMEA Guidance documents on internet address: http://www.eudra.org. Areas of discussion included how expectations for raw material control are evolving within changing regulatory and business paradigms including quality by design (QbD), counterfeiting, complex supply chains, and sourcing changes. discussed risk assessment and mitigation strategies along with supplier risk management plans. • QbD principles requiring an understanding of the criticality of quality attributes for raw materials and their effect on processes and products. Strategies Control of raw materials is essential to maintaining safety. Thorough knowledge of raw materials can mitigate the potential for contamination derived from such sources as microbes, chemicals, prions, and pyrogens. Raw material control for safety also includes identification — being able to verify that you have received the correct material — because the presence of an incorrectly identified material in a manufacturing process could compromise safety. Control of raw materials is essential to ensure lot-to-lot consistency because variation in them can directly affect the variation of both product and process. So manufacturers must understand the critical material attributes (CMAs) of their raw materials and which of those affect variability — as well as how to control that variability. 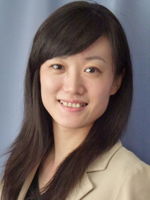 You must show that you are using appropriate analytical methods to characterize raw materials. Raw materials such as polyethylene glycol (PEG) isomers, trace materials in media and water, container and closure materials, and chromatography resins all have the potential to affect lot-to-lot consistency. An effective raw material control program will also ensure consistent supplies. A single source for a vital raw material can be a significant financial and quality-assurance risk. If a supplier goes out of business or experiences quality problems, can that raw material be obtained elsewhere? Has a second source been qualified in case the primary source is no longer available? Does the second source have the capacity to meet your needs? A QbD approach to raw material control requires that you understand the impact on your product’s critical quality attributes. You will need to show that you understand the effect of raw material variability on your product as well as on your manufacturing process. Use of multiple lots during development can provide data on raw material lot-to-lot variability and its related effects on process and product. When that is not feasible, a manufacturer may consider including different lots of raw materials during bench-scale studies. In addition to the raw materials themselves, you should gain an understanding of whether and how raw material degradants might affect your process or product. A QbD approach can use relevant knowledge to help you define how to go about setting specifications, in-process controls (IPCs), and handling conditions. Testing of Raw Materials The forum discussed what levels of testing are important for specific raw materials. A supplier’s certificate of analysis (CoA) is never sufficient for raw materials because good manufacturing practices (GMPs) require appropriate testing, and at a minimum, testing for identity. The material ordered may include additives, preservatives, degradation products, or contaminants. You must verify that the CoA is appropriate for control of the raw material, but you can’t assume that at the outset. Similarly, CoA verification may be necessary only once a year once your experience with a given supplier has shown that quality is consistent. Vendor qualification is an important factor in defining your testing needs. To ensure the quality of raw materials against adulteration, identity testing is essential. Currently, tests with fingerprint techniques — e.g., nuclear magnetic resonance (NMR) imaging and Raman, nearinfrared (NIR), and Fourier-transform infrared (FTIR) spectroscopy — are used to assure the identity and quality of raw materials. Whatever techniques you use, it is important to retain samples for future investigations. Photographic libraries of materials and their packaging have also proven useful for identifying and preventing use of counterfeit products. How often and in how much depth you need to verify a CoA through independent testing is an important consideration, especially for environments in which counterfeiting or contamination can occur. Once you understand the CMAs of your raw materials, you need to identify which tests are relevant for testing specific quality attributes (QAs) of those raw materials. Sampling plans need careful consideration and should be risk based, dependent on the nature and use of the RM, and any regulatory requirements. Such plans should always be justified in a report available for inspection and/or filing. It is important to consider RM stability and whether any special tests for degradants are needed for release of the material over time. A stability profile will dictate the purchasing program (storage of large quantities or buying as needed) as well as affect the associated testing strategy. Ensuring Quality and Availability It is becoming increasingly evident in the current supply chain environment that management of suppliers and the “cold chain” is essential to assuring the quality of raw materials. How often and how thoroughly you perform vendor audits depends on your experience with a given vendor. A manufacturer’s general experience with a vendor (prior knowledge) is an important criterion used to evaluate that vendor’s suitability to supply raw materials. Items to consider when selecting a vendor include its quality systems and its solvency, as well as its length of time in business, its geographic area, and whether it supplies multiple industries or just one or two drug manufacturers. Those form part of a risk assessment relating to suppliers to be described in more detail below. Ensuring both the availability and qualification of secondary suppliers is important as well. Practices such as split purchasing may help ensure that you have good working relationships with multiple vendors. Strict change control sections should be included in supplier agreements and should include details requiring a vendor to notify you of changes in its product or suppliers. Such agreements should also provide for impact assessments from both supplier and manufacturer in the event that a supplier makes any changes. Supply chain traceability is not as straightforward as it might seem. Although most manufacturers use country-of-origin (COO) questionnaires, those often prove less than ideal in revealing what you need to know. It is critical to craft questions that get the in-depth answers you need. For example, rather than asking “Do you purchase supplies from any high-risk countries?” you might ask “From what countries do you purchase supplies?” If the specified countries include any you consider to be high risk, you can follow up or choose another supplier. 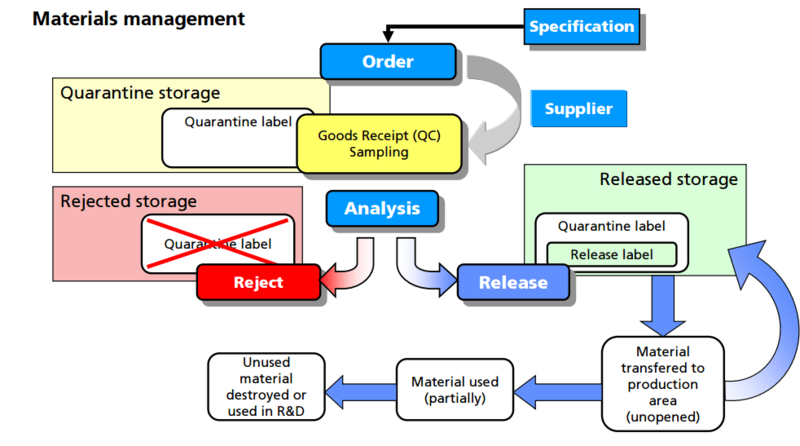 It is critical to use risk-assessment techniques for determining traceability to avoid a false sense of security that can lead to costly or even deadly errors. It is sometimes unclear exactly what roles are played by whom in a supply chain. Which companies are manufacturers, which are distributors, and which are intermediaries is not necessarily clear. A company that simply repackages a raw material from 55-gallon drums into smaller containers may consider itself a manufacturer. Due diligence will help ensure that you really know where your raw materials originated. As part of assessing supply chain complexity, forum participants were informed of a proposed program whereby industry creates a system of cooperative audits in which vendors would be audited by a selected team representing all industry rather than multiple auditors from each company continuously auditing suppliers. The resulting audits would lead to certification that would assure all purchasers that each vendor meets certain defined criteria. Such a “360° Rx” program would enable increased depth of supplier audits and save manufacturers time and money (see box, right). The Role of Compendial Standards: Compendia provide some assurance of minimum quality standards for specified materials. 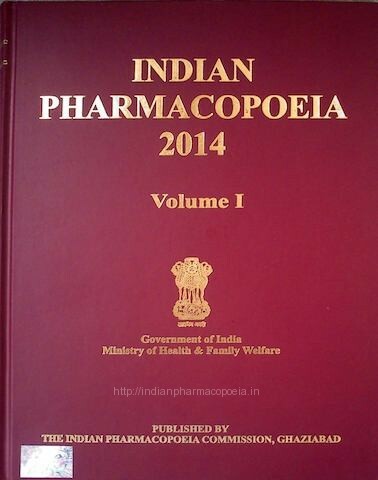 However, compendial standards may differ among the pharmacopoeias. Few of the complex raw materials (e.g., culture media, soy, yeastolates, most growth factors) used in biotechnology manufacturing are compendial, and those that are (e.g., insulin) may not have the appropriate compendial limits on specific quality attributes — or even test for quality attributes necessary to control pharmaceutical manufacturing. Even for standard chemical raw materials (e.g., trace metals), compendial standards may not focus on quality attributes relevant for biotechnology process and product quality assurance. Risk assessments are an important tool for ensuring the safety, efficacy, consistency, and supply of pharmaceutical products. Many companies in both the United States and the European Union are using ICH Q9 as a basis for risk assessment, control, communication, and future review. Risk assessments should begin by identifying all raw materials and assessing their criticality to product safety, efficacy, and supply. RM risk assessments require cross-functional input from all departments including supply, product development, manufacturing, quality control, quality assurance, clinical, and any other contributors. It was clear from this forum’s discussions that risk assessments are only as good as the people who carry them out. Having the right expertise over a spectrum of areas is vital if any risk assessment is to be meaningful. Multiple risk assessment tools exist, but in general, a good risk assessment must address concepts such as impact/ severity and likelihood/detectability. One tool discussed at the forum (Figure 1) used nine blocks to score a supplier’s performance against material risk levels for audits, supplier qualification, supplier monitoring, change control, material specifications and testing, quality agreements, supplier certification, and sourcing, or other appropriate combinations of factors. Risk assessment should also be performed in relation to country of origin. It is critical to be able to trace your raw materials to their source. Just as a biopharmaceutical manufacturer audits its suppliers, those suppliers must also know, audit, and qualify their own distributors. It is now well known that there are high-risk geographic areas where additional caution should be exercised to assure purity and identity of sourced materials. A potentially overlooked risk assessment issue is that manufacturers need to evaluate their raw materials and products in relation to opportunities for someone to make a profit through adulteration (e.g., by diluting a product to increase volume, and thus sales income). Any materials identified in such an evaluation should be managed with particular caution. 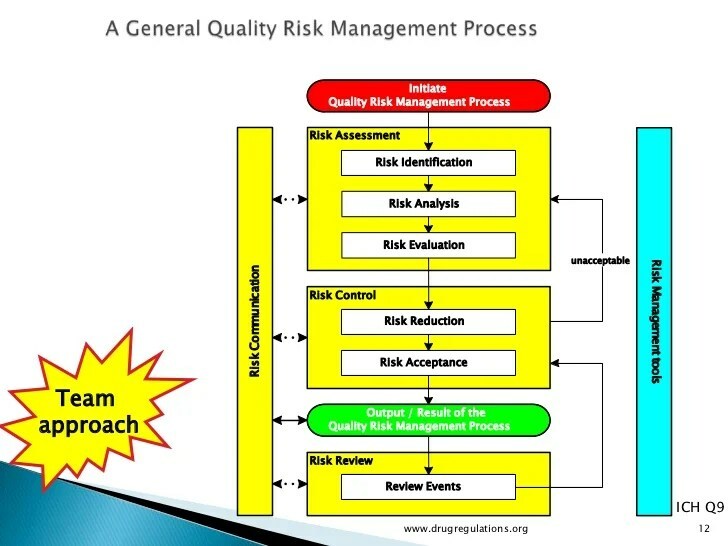 Risk assessments ensure that appropriate control strategies and raw materials (e.g., grade, origin) have been selected, which is relevant to a QbD approach. For regulatory filings, acceptable specifications, raw materials, and control strategies are tested with the necessary acceptance criteriia to ensure the performance of a process and the quality of its ultimate products. A periodic risk review should include more than a mere cursory review of individual risk assessments. It should reevaluate the risk program itself based on experience and lessons learned. Your risk assessment should be phase-appropriate, and as such it will change as data become available throughout development. Early on, your raw materials risk assessment can be based on platform and previous knowledge, on the quality assurance of your suppliers, and adventitious agent introduction. As a manufacturing process develops, you will need to reevaluate that risk assessment including commercial considerations of scale and production frequency, highrisk raw materials control strategy, and handling and storage requirements. During commercialization, design of experiments (DoEs) and collated knowledge will further define the CQAs of both product and RMs as well as potential and actual interactions among RMs, process, and product. At that point, you will be able to define and justify the raw materials for your commercial process and refine their specifications. Risk Assessments Is the raw material biological, chemical, or physical (such as tubing or stoppers, materials that are not actual components of the end product)? How likely is the raw material to introduce biological or chemical contamination? Is the raw material or are its degradants able to directly affect the safety and/or efficacy of a drug substance (e.g., toxicity, chemical modifications)? How complex is the raw material itself or its impurity profile? How much prior knowledge (e.g., historical or published knowledge, current experience) do you have regarding the raw material? 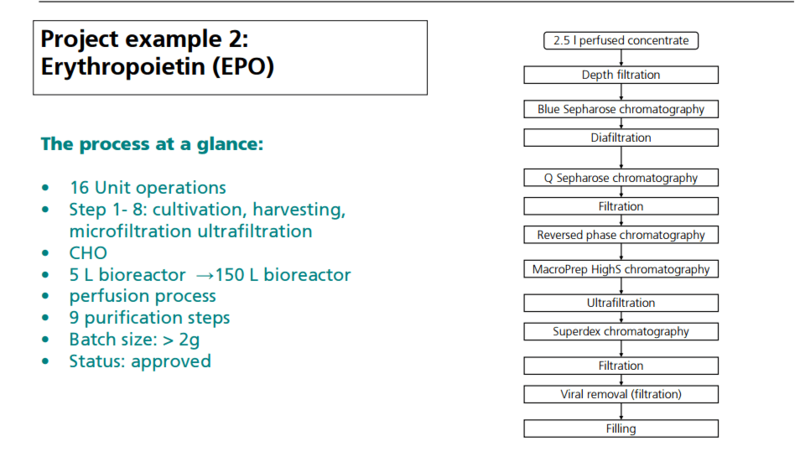 What is the Intended use of the raw material (e.g., as a buffer, reagent, or excipient)? Where in the manufacturing process will this raw material will be used (upstream/ downstream)? What is the extent of supply chain traceability (considering country of origin, supply chain complexity, and supply chain security)? What is the extent of supplier quality assurance (from audits, monitoring, historical experience)? How extensive is the characterization of the raw material (how well can the raw material be characterized; standard existing methods or novel techniques; the RM’s impact on test methods)? How stable is the raw material? Is the raw material new to the process or a result of a change to an existing raw material (if a change, what studies have been executed to assure comparability)? What is the depth of knowledge of the RM’s own manufacturing process to assess the risk associated with its use (e.g., process contaminants)? Does the use of the raw material in a manufacturing environment present safety and/or handling risks? Does your process have the ability to clear the raw material? Are there associated business risks (e.g., a solesource or multiple-source material, unique or not to the pharmaceutical industry, custom-made or not, and the supplier’s ability to consistently meet specific requirements)? What is your level of understanding of the raw material CMAs? A generic drug is defined as a drug with the same active pharmaceutical ingredient, dosage form, strength, quality, indication, effect, direction, and dose as the original proprietary drug. Generic drug approval review in Japan is conducted by the Office of Generic Drugs, established in November 2014 as part of the Pharmaceuticals and Medical Devices Agency (PMDA), which reviews the equivalence of the original drugs from the viewpoint of quality, efficacy, and safety, based on documentation submitted by the generic drug applicants.